This Section of the Statement has described available electro-physiologic tests, the functions of which are to assess the integrity of the respiratory neuromotor apparatus. These electro-physiologic tests are technically complex and require considerable expertise. There are two main types of test: electromyography (EMG) and stimulation tests. Type 1: EMG. For the respiratory muscles the EMG can be used to assess the level and pattern of activation, to detect and diagnose neuromuscular pathology, and when combined with tests of mechanical function to assess the efficacy of contraction. The EMG can be recorded with surface electrodes (for diaphragm, intercostal, scalene, abdominal, and accessory muscles) or an esophageal electrode (for the crural diaphragm). Surface electrodes are noninvasive and sample a large number of motor units, but contamination (cross-talk) from other muscles is a substantial problem, as is the effect of body size and shape on signal amplitude. Esophageal electrodes provide more specific information, but the technique is invasive and complex. Surface and esophageal electrodes can record the interference pattern EMG (raw EMG) of the respiratory muscles and are useful to determine the timing and level of respiratory muscle activation during breathing, at rest, and under load. Frequency domain analysis of the EMG is used, as a research tool, to investigate respiratory muscle fatigue (discussed in Section 5 of this Statement). Intramuscular electrodes can be used to record, relatively selectively, from the diaphragm and intercostal muscles. Motor neuron firing frequency can be measured and neuromus-cular disorders diagnosed. However, the techniques are invasive and technically difficult. Type 2: Stimulation Tests. Stimulation tests measure the efficiency of neural and neuromuscular transmission. Nerve stimulation can be achieved with electrical or magnetic stimulators. Electrical stimulation is inexpensive and relatively selective, but is uncomfortable and can be technically difficult. Magnetic stimulation is easier to achieve and less uncomfortable, but can be less selective and is expensive. Most commonly the phrenic nerves are stimulated and the diaphragm EMG elicited, for the measurement of phrenic nerve/diaphragm latencies and cMAP amplitudes. Latencies are prolonged in some neuromuscular disorders (e.g., demy-elination) and cMAP is reduced in amplitude (e.g., traumatic damage to the phrenic nerves). cortical stimulation is most commonly performed with a magnetic stimulator, and permits the measurement of central conduction times (ccT) for limb muscles and diaphragm. ccT can be prolonged as, for example, in multiple sclerosis. cortical stimulation is not selective, and the application of the technique to the respiratory system is a highly specialized skill. 1. Lindström L, Magnusson R. Interpretation of myoelectric power spec tra: a model and its applications. Proc IEEE 1977;65:653-662. 2. Lindström L. A model describing the power spectrum of myoelectric signals. I. Single fiber signal. Res Lab Med Electr, Göteborg, Sweden. 1973;5:73. 4. Häkansson CH. Conduction velocity and amplitude of the action poten tial as related to circumference in the isolated frog muscle. Acta Physiol Scand 1956;37:14-34. 5. Juel C. Muscle action potential propagation velocity changes during ac tivity. Muscle Nerve 1988;11:714-719. 6. Metzger JM, Fitts RH. Fatigue from high- and low-frequency muscle stimu lation: role of sarcolemma action potentials. Exp Neurol 1986;93:320-333. 7. Broman H, Lindström L. A model describing the power spectrum of myoelectric signals. II. Motor unit signals. Res Lab Med Electr, Göteborg, Sweden. 1974;8:74. 8. Lindström L, Broman H. A model describing the power spectrum of myoelectric signals. III. Summation of motor unit signals. Res Lab Med Electr, Göteborg, Sweden. 1974;9:74. 9. De Troyer A, Peche R, Yernault JC, Estenne M. Neck muscle activity in patients with severe chronic obstructive pulmonary disease. Am J Respir Crit Care Med 1994;150:41-47.
versus abdominis muscle function in humans. J Appl Physiol 1990;68: 1010-1016. 11. De Troyer A, Farkas GA. Linkage between parasternals and external intercostals during resting breathing. J Appl Physiol 1990;69:509-516. 12. McKenzie DK, Gandevia SC. Phrenic nerve conduction times and twitch pressures of the human diaphragm. J Appl Physiol 1985;58:1496-1504. 13. Gandevia SC, McKenzie DK. Human diaphragmatic EMG: changes with lung volume and posture during supramaximal phrenic nerve stimulation. J Appl Physiol 1986;60:1420-1428. 14. Grassino AE, Whitelaw WA, Milic-Emili J. Influence of lung volume and electrode position on electromyography of the diaphragm. J Appl Physiol 1976;40:971-975. 15. Kim MJ, Druz WS, Danon J, Machnach W, Sharp JT. Effects of lung volume and electrode position on esophageal diaphragmatic EMG. J Appl Physiol 1978;45:392-398.
and transdiaphragmatic pressure measurements with a single catheter. Am Rev Respir Dis 1981;124:563-565. 17. Beck J, Sinderby C, Weinberg J, Grassino AE. Effects of muscle-to-elec trode distance on the human diaphragm electromyogram. J Appl Phys-iol 1995;79:975-985. 18. Beck J, Sinderby C, Lindström L, Grassino A. Influence of bipolar elec trode positioning on measurements of human crural diaphragm EMG. J Appl Physiol 1996;81:1434-1439. 19. Sinderby CA, Beck JC, Lindström LH, Grassino AE. Enhancement of signal quality in esophageal recordings of diaphragm EMG by the double subtraction technique. J Appl Physiol 1997;82:520-530. 20. Van Lunteran E, Haxhiu MA, Cherniak NS, Goldman M. Differential costal and crural diaphragm compensation for posture changes. J Appl Physiol 1985;58:1895-1900. 21. Sprung J, Deschamps C, Hubmayer RD, Walters B, Rodarte J. In vivo regional diaphragm function in dogs. J Appl Physiol 1989;67:655-662. 22. Sinderby C, Beck J, Weinberg J, Spahija J, Grassino A. Voluntary acti vation of the human diaphragm in health and disease. J Appl Physiol 1998;85:2146-2158. 23. Beck J, Sinderby C, Lindstrom L, Grassino A. Effects of lung volume on diaphragm EMG signal strength during voluntary contractions. J Appl Physiol 1998;85:1123-1134. Sinderby C. Electrical activity of the diaphragm during pressure support ventilation in acute respiratory failure. Am J Respir Crit Care Med 2001;164:419-424. 25. Delhez L. Electrical responses of the human diaphragm to the electrical stimulation of the phrenic nerve. Electromyogr Clin Neurophysiol 1975;15:359-372. 26. Estenne M, Ninane V, De Troyer A. Triangularis sterni muscle use dur ing eupnea in humans: effect of posture. Respir Physiol 1988;74:151-162. 27. Estenne M, Zocchi L, Ward M, Macklem PT. Chest wall motion and ex piratory muscle use during phonation in normal humans. J Appl Phys-iol 1990;68:2075-2082.
tromyograms from intercostal muscles. J Appl Physiol 1989;67:2125-2128. 30. Whitelaw WA, Feroah T. Patterns of intercostal muscle activity in hu- 59.
mans. J Appl Physiol 1989;67:2087-2094. 31. Saadeh PB, Crisafulli CF, Sosner J, Wolf E. Needle electromyography of the diaphragm: a new technique. Muscle Nerve 1993;16:15-20. 60. 32. Silverman JL, Rodriguez AA. Needle electromyographic evaluation of the diaphragm. Electromyogr Clin Neurophysiol 1994;34:509-511. 61. 33. De Troyer A, Leeper J, McKenzie D, Gandevia SC. Neural drive to the diaphragm in patients with severe COPD. Am J Respir Crit Care Med 62. 1997;155:1335-1340. 35. Gandevia SC, Rothwell JC. Activation of the human diaphragm from the motor cortex. J Physiol 1987;384:109-118. 36. Lindström L, Petersen I. Power spectrum analysis of EMG signals and 64.
its applications. In: Desmedt JE, editor. Progress in clinical neurophysiology. Vol. 10. Computer-aided electromyography. Basel, Switzerland: S. Karger; 1983. p. 1-51. 65. 37. Daube JR. Electrophysiologic studies in the diagnosis and prognosis of motor neuron diseases. Neurol Clin 1985;3:473-493. 38. Gross D, Grassino A, Ross WRD, Macklem PT. Electromyogram pat- 66.
tern of diaphragm fatigue. J Appl Physiol 1979;46:1-7. 39. Sinderby C, Lindström L, Grassino AE. Automatic assessment of elec- 67.
tromyogram quality. J Appl Physiol 1995;79:1803-1815. 40. Daubenspeck JA, Leiter JC, McGovern JF, Knuth SL, Kobylarz EJ. Diaphragmatic electromyography using a multiple electrode array. J 68. Appl Physiol 1989;67:1525-1534. 41. Sinderby CA, Comtois AS, Thomson RG, Grassino AE. Influence of the bipolar electrode transfer function on the electromyogram power 69. spectrum. Muscle Nerve 1996;19:290-301. 42. Schweitzer TW, Fitzgerald JW, Bowden JA, Lynn-Davies P. Spectral analy- 70.
sis of human diaphragm electromyogram. J Appl Physiol 1979;46:152-165. 43. Aldrich TK, Adams JM, Arora NS, Rochester DF. Power spectral analy- 71.
sis of the diaphragm electromyogram. J Appl Physiol 1983;54:1579-1584. 44. Arvidsson A, Grassino A, Lindström L. Automatic selection of uncon- 72.
taminated electromyogram as applied to respiratory muscle fatigue. J Appl Physiol 1984;56:568-575. 45. Levine S, Gillen J, Weiser P, Gillen M, Kwatny E. Description and vali- 73.
dation of an ECG removal procedure for EMGdi power spectrum analysis. J Appl Physiol 1986;60:1073-1081. 46. Sinderby C, Friberg S, Comtois N, Grassino A. Chest wall muscle cross talk in the canine costal diaphragm electromyogram. J Appl Physiol 74. 1996;81:2312-2327. 47. Basmajian JV, DeLuca CJ. Muscles alive: their functions revealed by electromyography. Baltimore, MD: Williams & Wilkins; 1985. 75. Desmedt JE. Methodes d'etude de la fonction neuromusculaire chez l'homme: myogramme isometrique, electromyogramme d'excitation et topographie de l'innervation terminale. Acta Neurol Psychiatr Belg 76. 1958;58:977-1017. Roy SH, DeLuca CJ, Schneider J. Effects of electrode location on myo- 77. electric conduction velocity and median frequency estimates. J Appl Physiol 1986;61:1510-1517. 50. Beck J, Sinderby C, Lindström L, Grassino A. Diaphragm interference 78.
pattern EMG and compound muscle action potentials: effects of chest wall configuration. J Appl Physiol 1997;82:520-530. 51. Weinberg J, Sinderby C, Sullivan L, Grassino A, Lindström L. Evaluation 79.
of diaphragm electromyogram contamination during progressive inspira-tory maneuvers in humans. Electromyogr Clin Neurophysiol 1997;37:143. 52. Sinderby C, Lindström L, Comtois N, Grassino AE. Effects of dia- 80.
phragm shortening on the mean action potential conduction velocity. J Physiol 1996;490:207-214. 53. Clarke RSJ, Hellon RFR, Lind AR. The duration of sustained contrac- 81.
tions of the human forearm at different muscle temperatures. J Physiol 1958;143:454-463. 82. 54. Humphreys PW, Lind AR. 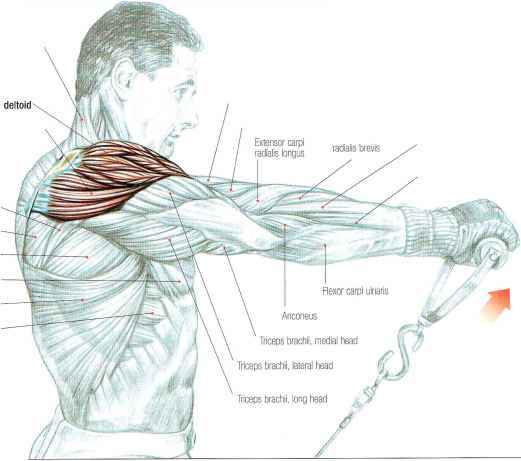 The blood flow through active and inactive muscles of the forearm during sustained handgrip contractions. J 83. Physiol 1963;166:120-135. 55. Edwards RHT, Hill DK, Jones DA. Heat production and chemical changes during isometric contractions of the human quadriceps mus- 84. cle. J Physiol 1975;251:303-315. 56. Fink R, Luttgau HD. An evaluation of membrane constants and potassium conductance in metabolically exhausted fibers. J Physiol 1976;263:215-239. 85. 57. Roberts DV. Simultaneous measurement of propagation velocity of ac tion potential and contraction wave in frog striated muscle. J Physiol 1969;147:62-63. 86.
fried SB, Lindström L. Neural control of mechanical ventilation in respiratory failure. Nat Med 1999;5:1433-1436. Parthasarathy S, Jubran A, Tobin MJ. Assessment of neural inspiratory time in ventilator-supported patients. Am J Respir Crit Care Med 2000;162:546-552. Bellemare F, Grassino AE. Evaluation of human diaphragmatic fatigue. J Appl Physiol 1982;53:1196-1206. Bellemare F, Grassino A. Force reserve of the diaphragm in patients with chronic obstructive pulmonary disease. J Appl Physiol 1983;55:8-15. Sinderby C, Weinberg J, Sullivan L, Lindström L, Grassino A. Electromyo-graphical evidence for exercise-induced fatigue in patients with chronic cervical cord injury or prior polio infection. Spinal Cord 1996;34:594-601. Sinderby C, Spahija J, Beck J. Changes in respiratory effort sensation over time are linked to the frequency content of diaphragm electrical activity. Am J Respir Crit Care Med 2001;163:1637-1641. Gandevia SC, Plassman BL. Responses in human intercostal and truncal muscles to motor cortical and spinal stimulation. Respir Physiol 1988; 73:325-338. Lance JW, Drummond PD, Gandevia SC, Morris JG. Harlequin syndrome: the sudden onset of unilateral flushing and sweating. J Neurol Neurosurg Psychiatr 1988;15:635-642. Linder SH. Functional electrical stimulation to enhance cough in quadri-plegia. Chest 1993;103:166-169. DiMarco AF, Altose MD, Cropp A, Durand D. Activation of the in-spiratory intercostal muscles by electrical stimulation of the spinal cord. Am Rev Respir Dis 1987;136:1385-1390. Mier A, Brophy C, Estenne M, Moxham J, Green M, DeTroyer A. Action of abdominal muscles on rib cage in humans. J Appl Physiol 1985;58:1438-1443. Merton PA, Morton HB. Stimulation of the cerebral cortex in the intact human subject. Nature 1980;285:227. Barker AT, Jalinous R, Freeston IL. Noninvasive stimulation of the human motor cortex. Lancet 1985;1:1106-1107. Maskill D, Murphy K, Mier A, Owen M, Guz A. Motor cortical representation of the diaphragm in man. J Physiol 1991;443:105-121. Chokroverty S, Hening W, Wright D, Wolczak T, Goldberg J, Burger R, Belsh J, Patel B, Flynn D, Shah S. Magnetic brain stimulation: safety studies. Electroencephalogr Clin Neurophysiol 1995;97:36-42. Pascual-Leone A, Houser CM, Reese K, Shotland LI, Grafman J, Sato S, Valls-Sole J, Brasil-Neto JP, Wassermann EM, Cohen LG. Safety of rapid-rate transcranial magnetic stimulation in normal volunteers. Electroencephalogr Clin Neurophysiol 1993;89:120-130. Burke D, Hicks RG, Stephen JP. Corticospinal volleys evoked by anodal and cathodal stimulation of the human motor cortex. J Physiol 1990; 425:283-299. Burke D, Hicks R, Gandevia SC, Stephen J, Woodforth I, Crawford M. Direct comparison of corticospinal volleys in human subjects to trans-cranial magnetic and electrical stimulation. J Physiol 1993;470:383-393. Rothwell JC, Thompson PD, Day BL, Boyd S, Marsden CD. Stimulation of the human motor cortex through the scalp. Exp Physiol 1991;76:159-200. Baker SN, Olivier E, Lemon RN. Task related variation in corticospinal output evoked by transcranial magnetic stimulation in the macaque monkey. J Physiol 1995;488:795-801. Murphy K, Mier A, Adams L, Guz A. Putative cerebral cortical involvement in the ventilatory response to inhaled CO2 in conscious man. J Physiol 1990;420:1-18. Inghilleri M, Berardelli A, Cruccu G, Manfredi M. Silent period evoked by transcranial stimulation of the human cortex and cervicomedullary junction. J Physiol 1993;466:521-534. Roick H, von Giesen HJ, Benecke R. On the origin of the postexcitatory inhibition seen after transcranial magnetic brain stimulation in awake human subjects. Exp Brain Res 1993;94:489-498. Taylor JL, Butler JE, Allen GM, Gandevia SC. Changes in motor cortical excitability during human muscle fatigue. J Physiol 1996;490:519-528. Chen R, Collins S, Remtulla H, Parkes A, Bolton CF. Phrenic nerve conduction study in normal subjects. Muscle Nerve 1995;18:330-335. Moorthy SS, Markand ON, Mahomed Y, Brown JW. Electrophysiologic evaluation of phrenic nerves in severe respiratory insufficiency requiring mechanical ventilation. Chest 1985;88:211-214. Luo YM, Polkey MI, Johnson LC, Lyall RA, Harris ML, Green M, Mox-ham J. Diaphragm EMG measured by cervical magnetic and electrical phrenic nerve stimulation. J Appl Physiol 1998;85:2089-2099. Luo YM, Johnson LC, Polkey MI, Harris ML, Lyall RA, Green M, Mox-ham J. Diaphragm electromyogram measured with unilateral magnetic stimulation. Eur Respir J 1999;13:385-390. Aldrich TK. Transmission fatigue of the rabbit diaphragm. Respir Phys-iol 1987;69:307-319.